Spacious cabin with two bedrooms: one with two full beds, second with two twin beds. 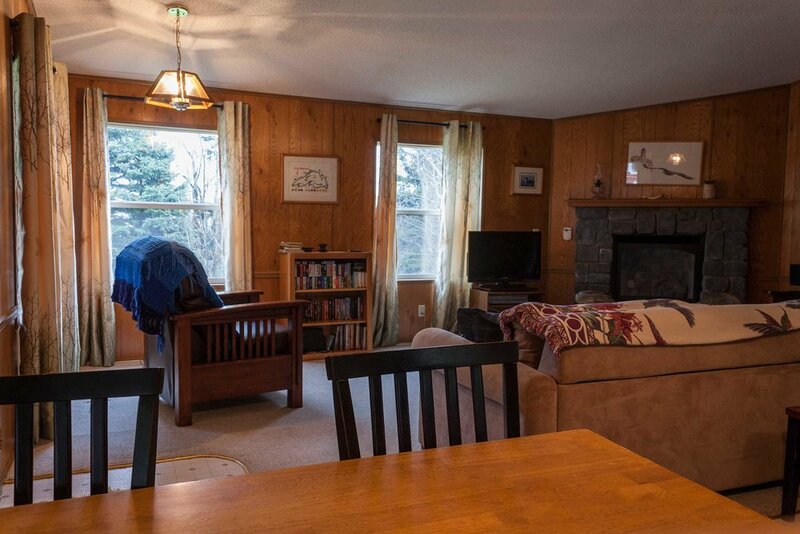 Full kitchen, dining area and living room with gas-log fireplace. Dish TV and Wi-fi. Easy access to Lake Superior, large covered porch, very private location and private driveway to cabin. Phoenix photo gallery below. Located just before the resort's entrance.